Brain-Computer Interface (BCI) and EEG headset technologies are quickly becoming go-to areas for new product research and software development initiatives. Innovative new products and hardware in this space now allow software developers to monitor brain activity directly and turn that data into exciting new user experiences. With many new fields of research opening up in health data monitoring, education, entertainment, and security, it’s easy to see why finding the most effective ways to use BCI technology in software development is a hot topic among developers. In many ways, we are in the early days of this technology. Because of that, many developers are left wondering where to turn to find out more about how to integrate BCI features into their development projects. Read on to find out how to start developing for BCI and EEG headsets, and see what steps you can take to get your next project off on the right foot. There are countless options available to game and app developers in this space. Do you want to make a health-related app that can be used to quiet the mind and find a meditative peace? Do you want to create an app that measures data and provides feedback for sports performance analysis? What about making the next big game that goes the extra mile and incorporates biosensor feedback for unique and valuable enhancements to gameplay? All of this is possible today because EEG headsets are able to determine different emotional states from a single sensor mounted in the headset, usually against the user’s forehead. This biosensor data is analyzed in real-time to monitor how the user is engaged and is tracked as voluntary or involuntary. Voluntary is when the user is actively attempting to complete a task or influence a situation, and involuntary is when they are already engaged in an activity and not actively trying to affect the state of their brainwaves. This data is typically measured through several available outputs including attention, meditation, eye blinks, brainwave bands (delta, theta, alpha, beta, etc. ), and even raw output. The choice of which EEG headset to develop for is a big one. It will set the tone for your entire development process and can either enhance or limit the features your software can provide depending on how capable the hardware is. NeuroSky EEG headsets and partner products use ThinkGear™ technology which enables the devices to interface with the wearers’ brainwaves directly, in real-time. ThinkGear chips output raw sampled wave values of either 128 Hz or 512 Hz, depending on the hardware used. It also outputs poor quality metrics, eSense Attention and Meditation meter values, EEG band power values for delta, theta, alpha, beta, and gamma, and much more. Choosing the right development platform is another critical step in getting your BCI software project or implementation off the ground. Look at how well each platform is suited to the goals you’ve set out for your project, then do some research and see what already exists on each platform for your chosen demographic. It’s also crucial to find out which platforms your target audiences are using, and from there, look at sales and monetization methods for each to see which enables best potential performance for your game or application. The goal of all of this is to give the right demographic the easiest access to your software on a familiar platform that lets them make the purchase painlessly. NeuroSky software development tools support Windows, Mac, Android, and iOS projects. We can help you publish your software directly for Windows or Mac, or we can link through to the iOS and Android (Google Play) App Stores for mobile devices. Each platform has its own advantages, limitations, and practices for both developer tools and the marketplaces they support. It is essential to understand the core of each one thoroughly and to know what your options are before committing to a particular development strategy. Includes documentation and code examples. Allows you to create .NET applications using the Stream SDK. Attention, meditation, eye-blink detection, and bandpower with more in development. Our NeuroSky Developer Documentation is packed with knowledge that will help you learn how to use and develop for our development tools. You can read it from start to finish, or use it as a reference. If it’s your first time developing for NeuroSky, take a look at NeuroSky 101, and search the rest of our documentation for detailed help and information. If you need more help, contact NeuroSky support or join our LinkedIn group. If you are a researcher, be sure to take a look at our Research Tools which provide a cost-effective and user-friendly way to conduct EEG-oriented research. Our developer program can help you whether you are someone who just wants to learn more about the mind or if you are working towards a new, complete product. Sign up for the NeuroSky Developer Program for more information. If you are interested in incorporating BCI technology in your next software development project on PC or Mac, NeuroSky can host and help manage your release through our online store and revenue share programs. For iOS and Android, we are able to help publicize your work, encourage development, and build sales. Learn more. Kickstarter has been an enormous benefit to software developers and anyone with the next great idea. It helps projects get funding directly from audiences who have chosen to take part and support the process. Here are a few examples of some successful projects launched using NeuroSky integration. 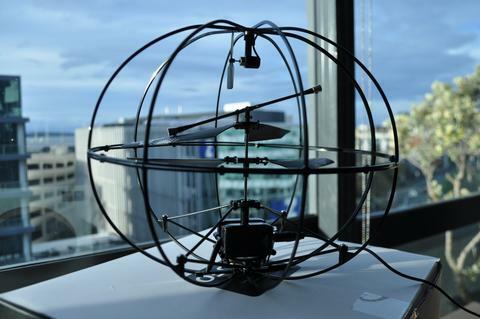 The Puzzlebox Orbit is an educational product that allows users with a NeuroSky MindWave Mobile EEG headset to control a toy helicopter with nothing more than brainwave activity as monitored through the headset. 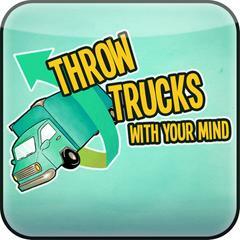 Throw Trucks With Your Mind is a multiplayer-focused game where you literally throw trucks with your mind using your brainwaves, and a NeuroSky MindWave headset. Read “Throw Trucks With Your Mind: Revolutionizing Entertainment with Neurogaming” to learn more about the development of this game. Download the PDF. 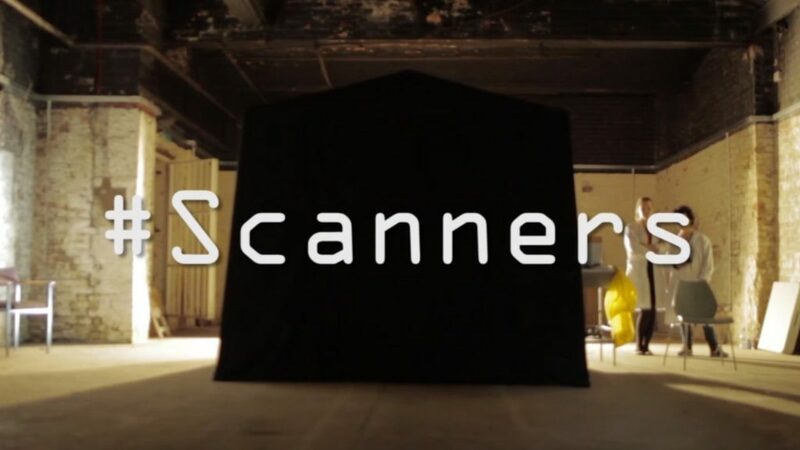 #Scanners is a new interactive visual arts installation that merges digital arts and neuroscience. Narratives and layers are governed entirely by the user’s concentration and meditation levels. BCI technology lets the audience project their feelings onto the film meaning the spectator is no longer only passively involved with the artwork. Along with Kickstarter, there is also an active NeuroSky hacking community who are helping to push the boundaries on what can be done with this new technology. Projects like the MindWave + Arduino Project and the Raspberry Pi Projects are excellent examples of development that is leading to new possibilities. Developing BCI technology and integration for EEG headsets is an exciting path in a new technological direction. NeuroSky provides the most inexpensive brainwave sensor technologies available today, combined with accessible and open toolsets. We offer a new generation of consumer wearables and devices featuring advanced EEG biosensors and biometric algorithms and provide the support that developers need to create leading-edge software. Learn more about the NeuroSky Developer program today.